With the increase of digitization of day to day life, everything these days is going online. People have started using applications and internet even for hooking up and for dating purpose as well. 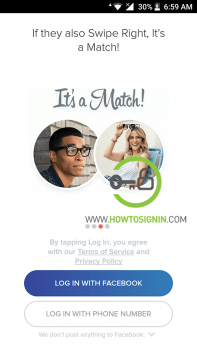 When it comes to online dating and meeting new friends Tinder is the best platform from the reports of many online surveys. The major reasons for the popularity of Tinder are its game like feature of swiping left and right, regular addition of interesting features like super like and mainly the “#tindersuccessstories”. Formerly, Tinder account could be opened using Facebook account only but lately, Tinder Sign up is possible using your mobile number as well which is good for the people who want to keep Facebook and Tinder separate. Before moving forward, be sure that you have Tinder application on your smartphone. If you don’t have then you can easily download the application from Play Store for Android device and from Apple Store for IOS device. Go to the menu of your phone and then tap on the icon of Tinder application. 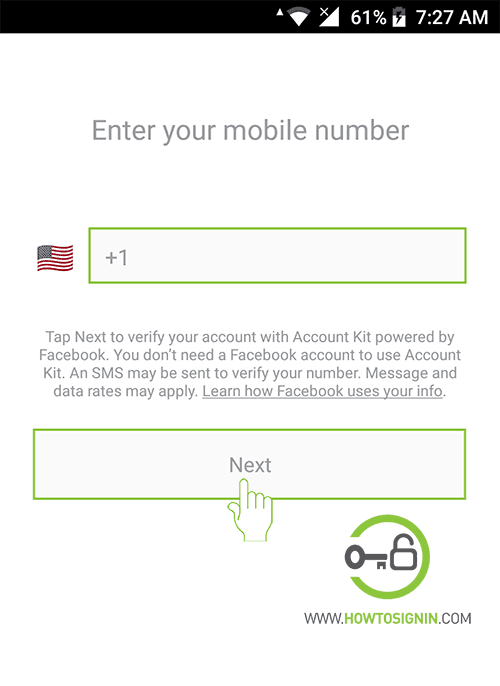 In the home page of the application, there are two options “Log in with Facebook” and “Log in with phone number”. If you want to link your Tinder account with Facebook, then tap on Log in with Facebook otherwise tap on Log in with phone number. In case you choose to Log in with Facebook: If you are already logged in to Facebook in your smartphone, Tinder will automatically connect to Facebook. 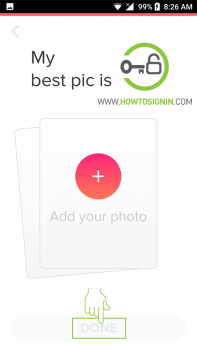 Information like profile images and username, email address etc. will be taken from the Facebook account you are connected to. 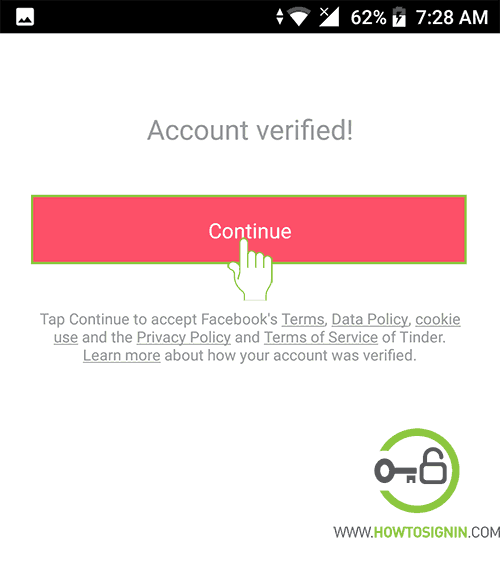 And if you are not already logged in to Facebook account then you will be asked to enter the username and password of the Facebook account that you want to connect your Tinder account to. 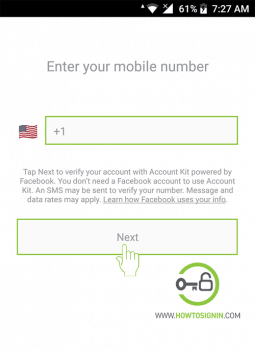 You must enter a valid phone number after selecting your country from the drop-down list and then tap on “Next”. 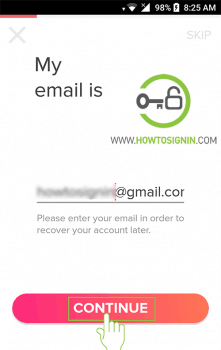 An account verification message will be displayed, tap on “Continue”. Now enter a valid email address that you want to link to Tinder. Type the password of the Tinder account you just created. 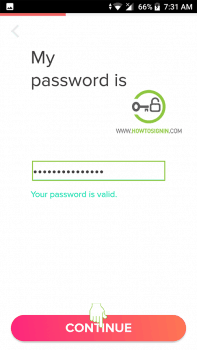 Make your password strong by making use of upper and lower-case alphabets, numbers and special characters. But in the name of making the password strong, don’t keep your password that is difficult for you to remember. Enter your first name. This is what other people will see in your profile. So, if you want to show them some fancy name then keep an attractive name in place of your first name. 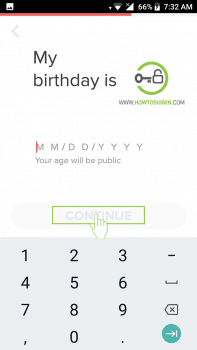 Enter your date of birth. Remember that your age will be displayed publicly so keep your DOB according to your purpose. Select your Gender and then tap on continue. 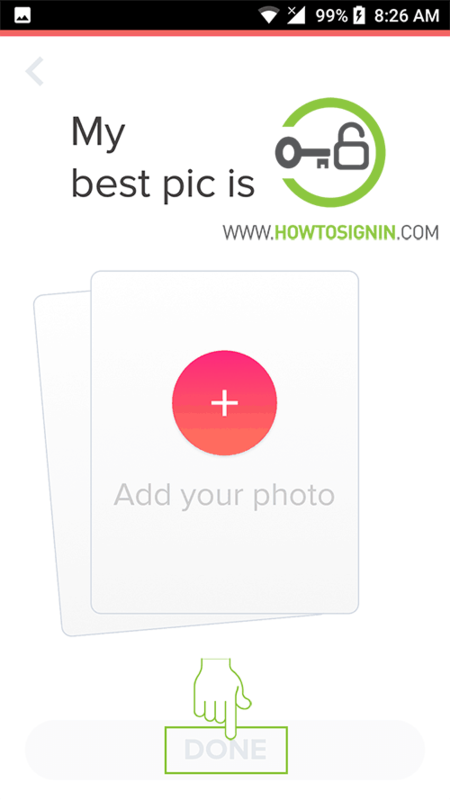 Upload your picture that you want to be your profile image and then tap on continue. A brand-new Tinder account in your name is ready to be used. 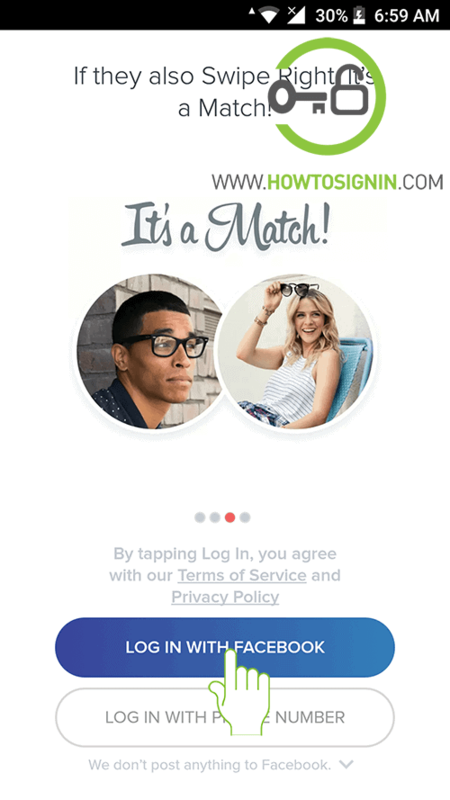 You can now start swiping left and swiping right. Enjoy!! !